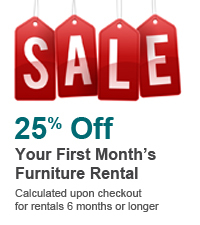 Prices per month based on a 6-month lease or longer. Shorter lease terms are available. Pricing and policies may vary by region. 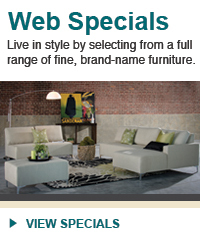 Excludes: delivery, security deposit, damage waiver, applicable taxes. Churchill will only accept orders with a total lease value of $1,400 or more. Specials on this page are significantly discounted due to limited supply. In the event that the item(s) you selected are no longer in stock on the date that your furniture is delivered, Churchill will reserve the right to substitute with furniture in a similar style and of equal or greater value. Sorry, your selection(s) are not available in your area.